Key of Marie: I Wanna Do It All!! I Wanna Do It All!! So..I decided to record five things that I wanna do in my lifetime...they can be anything!! 1. Go to Las Vegas with some girlfriends - I've gone there with family and yeah it was fun, but I would love to go with my girls and show them the town ;). 2. Record music in a studio - I LOVE to sing, but alas, I also have a shy bug. I would love to be in a studio for even an hour and record something. I think it would be fun :). 3. Go back to Germany - I went in Grade 12 but we were there for less than 24 hours!! It may sound silly but it just felt like home! I wanna walk around and feel that way for a while. So! There are five things, there are a lot more, but five is a good number for now! 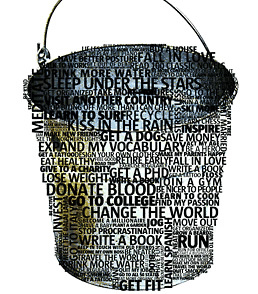 What would you add to your rhinestoned bucket list? If you could do it all, what would you do first?